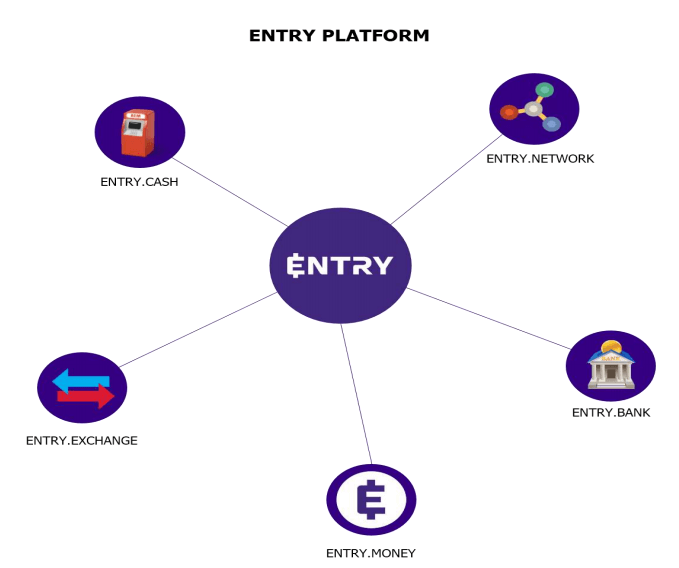 To be the gateway between traditional and new financial paradigms and systems led by cryptocurrencies and empower the financial ecosystem to have a framework that allows for interoperability between the two. To help cryptocurrencies achieve suitability for everyday transactions and open the world of crypto-finance to every citizen. To keep a transparent record of all the transactions in the ecosystem. To expand the use of cryptocurrencies for purchase and payments across the business world. To create a simple and all-in-one platform to revolutionize the traditional methods of dealing with banking systems. ENTRY’s suite of comprehensive banking products and services will ensure a new benchmark in banking and financial services. Centralized and p2p ultra-fast and instant cryptocurrency exchange. High security standards, beginner friendly and worldwide supported service. Open source code, wallet, custom blockchain, smart contracts, and custom Token creation platform. Blockchain technology enables fast and hassle-free cross border payments at a very low cost. Cash machine/ATM system. Transfer, cash out or top up with cash (using agents or cash machines). Payment gateway for POS (real shops, service providers). Payment cards will also be added in the future for ease of access for both fiat and crypto. side cryptocurrency. Tradable in exchanges. Expand (ENTRY.MONEY) services adding business account worldwide and launch app. Release (ENTRY.NETWORK) wallet to store, send, receive your crypto, participate in ICO through wallet. Blockchain (own or partners owned). Launch ATM systems (ENTRY.CASH) and put cash machines for beta testing. Start partnerships with agents to provide deposits and withdrawal services with cash. Investment, loans and other banking and finance services worldwide.